Mr. Equar D. Negash lets see the picture in Eritrea first. I think you could not see it, because the propaganda of isyas might be masking it. Let me be honest to you, as an Ethiopian, I do not like the picture of today’s Eritrea. Here is the picture for you to see clear and plain. Mr. Equar D. Negash lets to talk about the tragedy that has struck Eritrean youth. Every year Eritrean youth who come of age are herded and shipped to Sawa. This has become the tradition that Isyas has brought to Eritrea. In the old Eritrean tradition the coming of age of a young person was highly celebrated in a number of ways. Some Eritrean youth reached the highly anticipated of manhood and womanhood by “Mera” (marriage). This is the time when Eritrean parents and their whole village, or towns gathered to witness and celebrate the shinning moment of Mera(weeding) between wedi Habte and Gal Berhe. During days like that its all smiles, food, joy, and living life to its fullest. In fact Mera is the day when the whole community is happy, and festive regardless of economic standing for Eritrean culture as it is also for Ethiopian. For some young people who come out of age Mera was delayed for college opportunities. That used to be the tradition that awaited Eritrean children who came out of age before zemen isyas. Now in isyas Eritrea Mera of Wedi Habte and Gal Behre has been changed for Mera of Wedi Habte to Kalashnikov of Gal Russia for life. Those who do not want to marry Kalashnikov Gal Russia, they risk their life to flee Eritrea. I tell you Eqaur life with gal Russia Kalashnikov has not paid Eritrean youth any benefit. It has become a life of misery, life of uncertainty, life of pessimism. 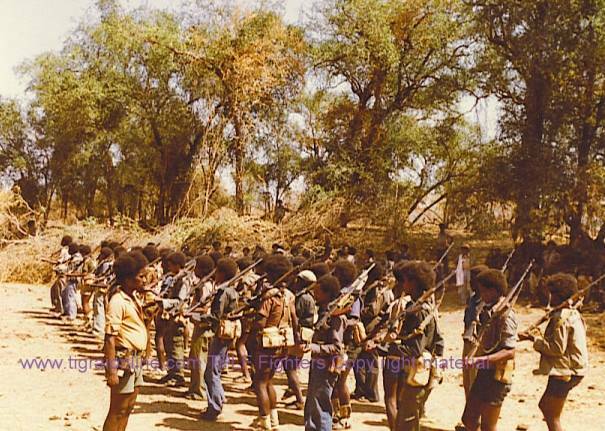 According to Isyas and his puppets the marriage of Eritrean youth to gal Russia was meant to end Ethiopia’s existence. Even in the dark ages European powers were not able to accomplish that dream. Isyas financiers themselves tried what Isyas is trying now but they failed miserably. The point is Eritrean youth marriage to Gal Russia will not end Ethiopia’s existence. This unholy marriage that was not blessed by Eritrean parents or by a priest, will never produce any fruit for Eritrea. Mr. Equar D. Negash, as your constant reminder of Ethiopia been involved in Somalia, do not worry about it. Ethiopia is handling it very well. Trust me Mr. Equar the so called Somali insurgents are financed by Ethiopia’s traditional enemies. The mission of our traditional enemies is to sow hatred and war between our Somali brothers for eternity. Now Ethiopia’s finest and bravest sons are fighting to end our traditional enemies dream. Eventually they will prevail, and a peaceful Somali and Ethiopia will co-exist forever. Mr. Equar I carefully analyzed all your articles and I came up with the conclusion that your mission is to confuse. Ethiopians are not easily confused. We know who is writing what and for what purpose. I will not explain this in detail; I will let you interpret that. Some Isyas’s couch soldiers were very optimistic when the split between TPFL occurred. To their nightmare, the people of Tigray remained committed to their goal of development. That goal suppressed all other issues. How things were handled with Eritrea are things of the past. We are moving forward not backward. Mr. Equar bringing dead issues seems to me the habit of Isays couch soldiers like Sophia Tesfamariam. If you continue to CPR dead issues, I suggest you contact isays couch tegadalit Sophia Tesfamarim (better known as Sophia Tesfa-isyas).